To get into the Halloween mood in a retro stylee I will be taking a look at a few different arcade games that are absolutely apt for 'the season of the witch'. 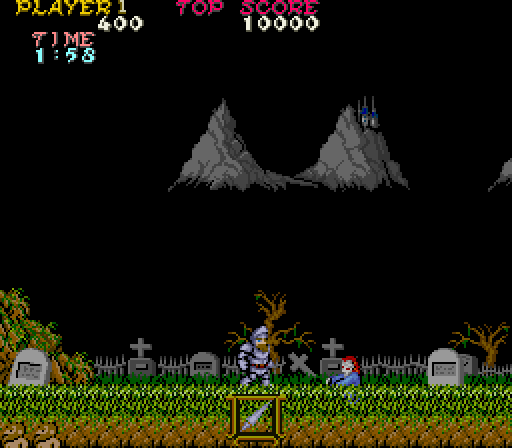 First up then it is the classic CapCom arcade game 'Ghosts N Goblins' which was released back in 1985. As far as horizontal scrolling action games go, this title was up there with the best of them from the mid 1980s and ended up being ported to several gaming platforms and computers of the era. 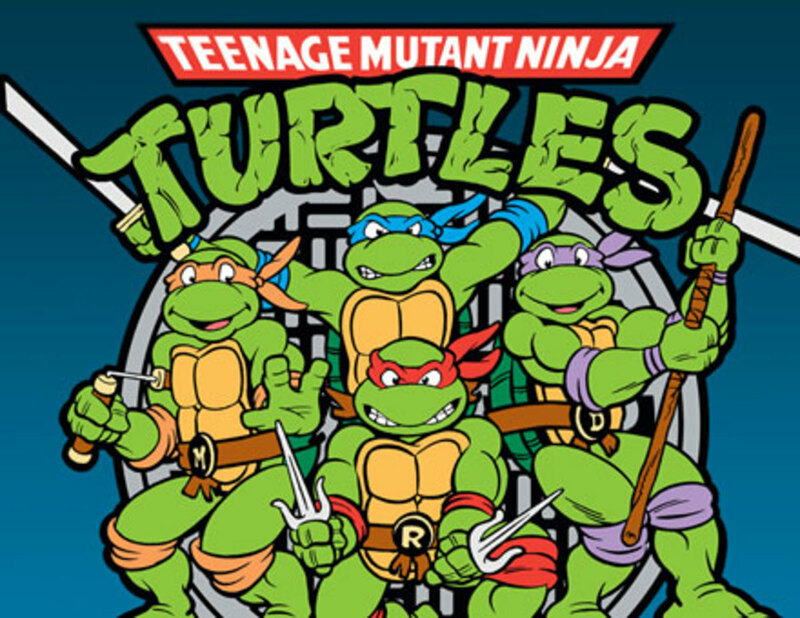 It ended up being popular enough to also spawn a number of sequels which would turn out to be big hits in their own right. 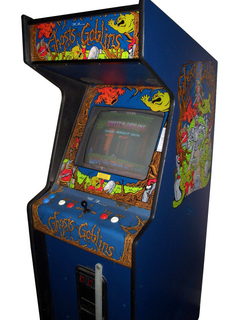 Ghosts'n Goblins was a platform game (which was an extremely popular gaming genre in the 1980s) where the player controlled a heroic knight named Sir Arthur. 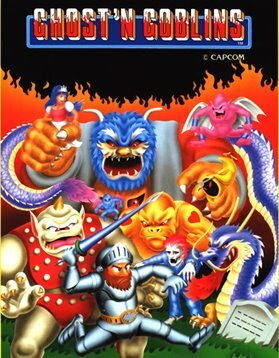 In the game you had to defeat various enemies including zombies, demons, dragons and ogres in order to rescue the beautiful Princess Prin Prin. Prin Prin had been kidnapped by the 'King of Demon World', I have absolutely no idea why though! In the usual fashion for arcade games the player was able to collect new weapon power-ups, bonuses and even extra suits of armour to make your battle a little easier. 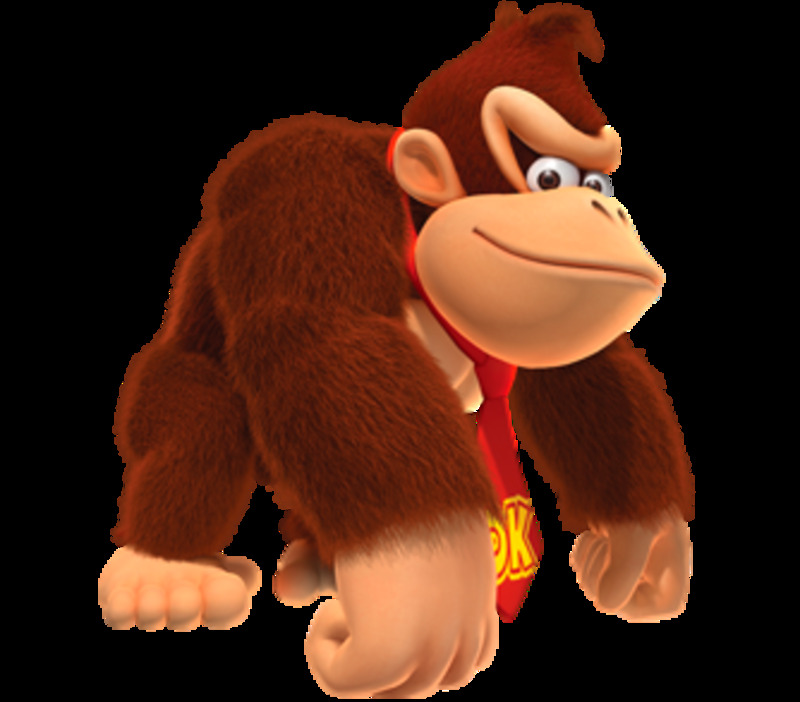 As you made your way through the right to left scrolling screen the game increased in difficulty as new levels were reached. 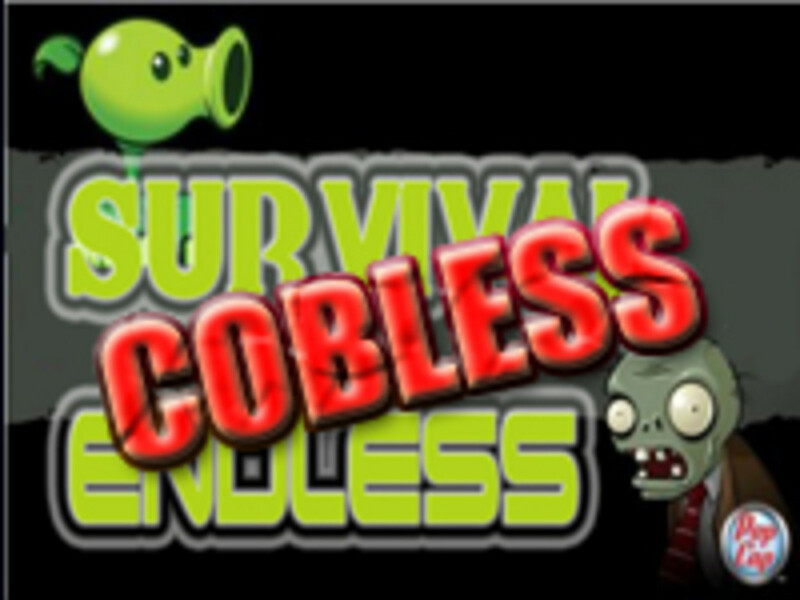 In fact, this game was very difficult for even accomplished gamers to make a decent amount of headway. As we have already stated this game is often considered very difficult by arcade standards, and is commonly regarded as one of the most difficult games ever released. One aspect that required maximum dexterity was the fact that you could only be hit twice before losing a life (the first hit removed Arthur's armour, and in a humorous twist the player was forced to continue in his underwear until completing the level, or finding a new suit of armour). If a life was lost it was back to the beginning of the current level (sheesh) or the halfway point if you have made it that far. If all of that was not scary enough you had to ensure that you were carrying the cross weapon if you made it all the way to the final boss. If you were not carrying it, then it was a restart of the beginning of level 5 and you were made to repeat level 5 and 6 again before being given the chance to do battle with the final enemy! The game, despite being more difficult than following the plot of Oceans 12, turned out to be an extremely popular choice amongst us gamers. 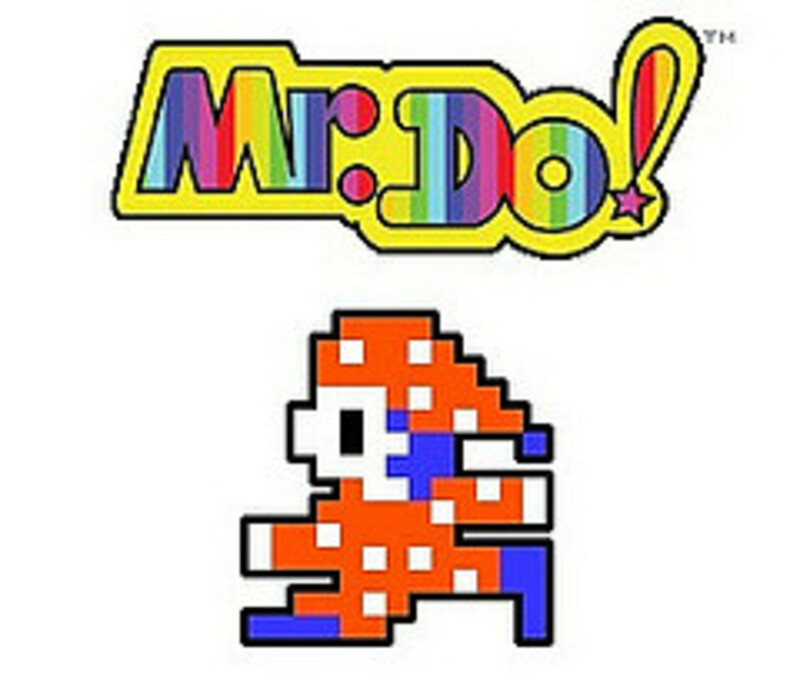 Due to this it unsurprisingly ended up being ported to numerous home computers and consoles of the era such as the ZX Spectrum, Commodore 64, Amstrad CPC, Atari ST and Commodore Amiga. To be fair the home ports were pretty well done (I was a huge fan of the ZX Spectrum version and it was one of the top ZX Spectrum games of 1986 with the likes of Crash Magazine singing it's praises) and most of them managed to capture the playability and feel of the original arcade version. The Amiga managed to recreate the spooky soundtrack and sound effects nicely to make one of the better CapCom conversions to the famous 16-bit machine. 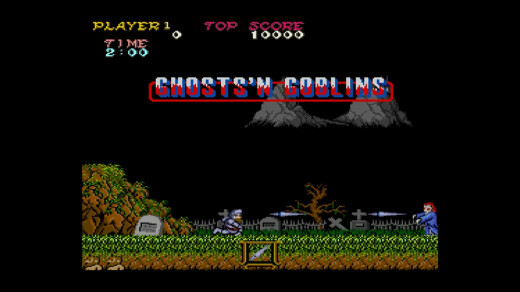 Ghosts N Goblins was also given the sequel treatment through the playable follow up called Ghouls N Ghosts, which was released in 1988 by Capcom. I have just managed to take a look at the sequel which is also worthy of your attention this halloween. Muhahahahaaaaa! 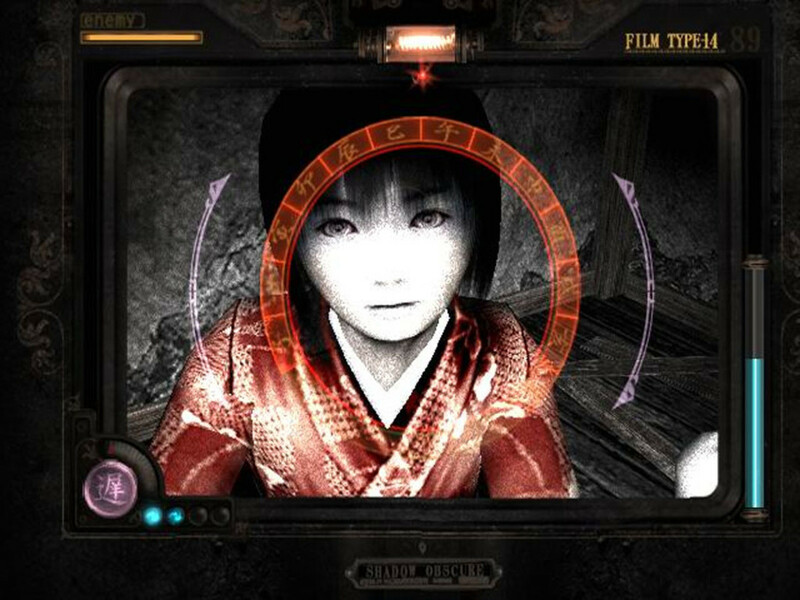 How Do You Rate The Difficulty Of This Game? Any Fans Of Ghosts N Goblins? Love seeing the C64 and Amiga versions! Thanks for the article! Don't think I've heard/played this one!